Debunked: Shasta Snow and Water Aluminum Tests. Discussion in 'Contrails and Chemtrails' started by Chemtrail Kook, Apr 18, 2011. @ Kook....what about the Shasta test results ? There were follow-up results. Have you seen them ? [h=1]New tests find trace or no aluminum in area water[/h]Recent testing of the water in and around the city of Mount Shasta by a group of local citizens claims to have found levels of aluminum that are a danger to health. Independent testing of several area water sources and the city’s water supply have found either no aluminum or trace amounts. Ah the old straw man. I'd have to re-listen to the interview with Above Top Secret, but I don't recall it going the way Murphy says. This is an interview I did with We Are Change Hawaii. Please watch, share and spread!!!!! See part 2, where he discusses the attempts of the PTB to debunk his film. Yet another thing that people can bring up is MJM ever gets around to answering his critics. It's interesting that this was a new user. It makes me think that someone read the rather active thread there, and told the WITWATS crowd, and they send someone over there. I strongly suspect that they actually believed it was metallic aluminum. So their entire film is based on high-school-chemistry level mistake. I agree that the new poster was prompted by you, and that the person is sorely mistaken, but has been carefully taking stock of the test results. The particular misspellings could just be sloppiness, but I see a strong possibility that the person is not a native english speaker. I've been looking into the crowd over there in Siskiyou county, CA. The science guy there is Francis Mangels. He is trusted by the folks over there, trusted too much and they haven't vetted what he told them through anyone else or else they would have known better. Judging strictly from his credentials, he should know better, much better. Maybe too many drugs, mental illness, just a highly educated person who rose beyond his actual abilities. For whatever reason, either he hasn't recognized his mistakes, doesn't want to admit them, or has gotten himself in so deep that he can't bring himself to admit to the others the truth. This document by him tells much more about what he has told his friends than what he has said in interviews. What is being found i snow on mountain tops around the world , and in the most documented case which is Mt Shasta california is FREE PARTICILOID METALIC ALLUMINIUM !!! EPA testing and in particular 60108 is a test to measure harmfull levels of METALIC ALUMINIUM in test samples, not harmless aluminium oxides or silicates. Quoting that in full, because it it's WRONG. It's an understandable mistake, and quite possibly one that Michael J. Murphy made in his film What In The World Are They Spraying. A peristaltic pump delivers an aqueous or organic sample into a nebulizer where it is changed into mist and introduced directly inside the plasma flame. The sample immediately collides with the electrons and charged ions in the plasma and is itself broken down into charged ions. The various molecules break up into their respective atoms which then lose electrons and recombine repeatedly in the plasma, giving off radiation at the characteristic wavelengths of the elements involved. So, yes, it determines the metals, but only after the sample has been broken down into a plasma of its atoms. No molecules exist. So the 7% of aluminum in dirt would show up as aluminum in this test. It's all yet another example of how WITWATS is based on a misunderstanding of science. This is all basic high-school chemistry, yet they continually get it wrong. It's almost as if they are doing it deliberately. The soil mentioned by Mangels as typical around Mt. Shasta are of the Deetz Series. The Deetz series consists of deep, somewhat excessively drained soils that formed in glacial outwash from volcanic rock and ash sources. The main types of ash from Mt. Shasta are andesite and dacite. Mt Shasta Andesite is rich in aluminum, the mafic ash tends to be high in trace elements, including Ba. The andesite found at Mt. Shasta is known to be high in Sr.
what was in the native soil. I'm thinking the USFS Ranger that called Mangels "incompetent" was correct! Very interesting about the soil composition. I think you need to be careful in too much criticism of individuals. Ultimately it may or may not be accurate, but it generally only serves to polarize the discussion. Better to try to stick to facts, rather than too much speculation about a person's mental state. It gives a bit more detail on the various tests, but still no actual methodology as to how the samples were taken, what the surrounding weather was, or how the contrail observations were made. The observations on the third page are a lot of the usual chemtrail stuff, in particular denying that persistent contrails existed before the late 1990. He claims they are military jets, but of course provides no photos. The notably high strontium content (1400 ppm) in the andesites from Mount Shasta also indicates a mantle origin at depths where plagioclase is absent as a stable phase in the residual material. isotopes do not provide evidence for any other crustal component admixed to Mt. Shasta andesites or dacites during magmatic differentiation and magma mixing in the crust." I wouldn't trust Mangels ph paper tests. I might trust a lab test. Paper strip soil tests are notoriously hard to do. Did he use real distilled water to make the solution, or just bottled water? The best soil tests take many small samples across an area which are mixed, then a real lab does the test. If he is just using a small amount from here or there, even a little bit like a bird pooping on the spot can make a big difference. Plus, the phydrion paper he is using is actually a range for saliva and urine 5.5-8.0 ph. Ordinary soil test paper is a wider range maybe 4-9 because that's all that paper is supposed to do, get a rough idea. He could have used a standard for calibration test. The soil scientists from the USDA Soil Conservation Department visited private property east of Shasta Lake, California, on October 27, 2009. Mr. Bailey, Komar, and Owens tested the pH with standard federal meters. All agreed the pH should be 5.5. Under Douglas fir, the ph was 7.4, astoundingly basic for that habitat. Under Ponderosa pine, at the precise soil-needle interface, I would expect a pH of 5. At that point, Bailey’s meter showed 6.5. This is high for a microhabitat that should be very acid. Old soil surveys indicate this soil should be very acid, around pH of 5.5. I bought a house in Mt. Shasta old black oak/pine pasture in 2002, tested the pH at below 6, good for vegetable gardening. It was a major reason for purchase, and proceeded with highly acid composting of leaves and grass to drive the pH down or at least keep it low, as every master gardener knows. I added a touch of sulfur and avoided wood ash to insure acidity, and proceeded to teach organic gardening courses out of my yard though COS. The pH tests were an embarrassment because now my garden is pH 7, sometimes higher. This is the opposite of what should happen. The pH meter of Jon McClellan proceeded to show pH in McCloud gardens also running close to 7 or 8, which is too high for heavy organic mulch with no ashes. General lawns were also running over pH 7 under oaks and pines and fir trees. This is contrary to everything I learned in college and the Soil Conservation Service for 35 years. The old data sheets say these soils should be running a pH of 5-6. I tested my rainwater in a plastic NWS rain gauge set high on a pole, and got 1010 ug/l aluminum, with substantial amounts of barium and strontium included, where it should be non-detectable. Others from the West Coast have similar repeated results, from the Bay Area to Washington. The McCloud/Mt. 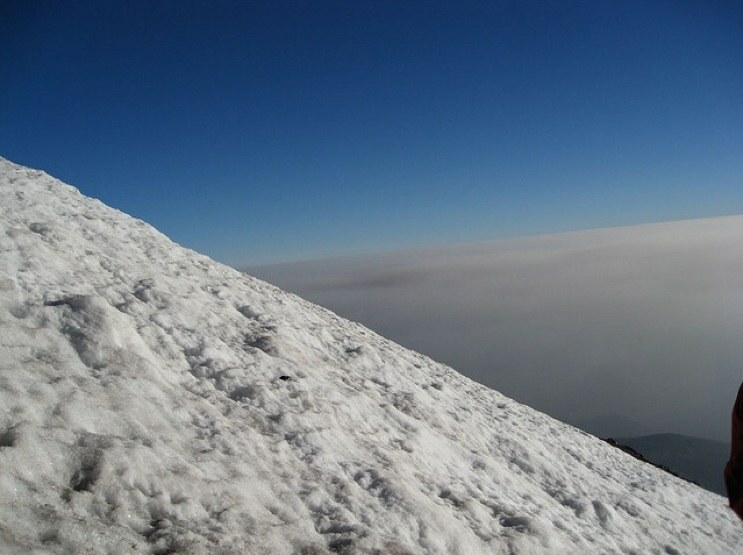 Shasta area got snow at 61,000 ug/l, and a Shasta Lake pond got 375,000 ug/l of aluminum. EPA-approved lab tests are true. The situation is widespread, so it is not a point source. At night you see a whitish gray sheen on a car window with a flashlight. Astronomy clubs get “night sparkles” in laser lights. It’s too thick to be Chinese. Something is coming down in a rain of dust, and it looks like aluminum so fine you can’t normally see it. PH investigations are in full swing here. I am using 5.5-8.0 pH hydrion lab papers to see what's going on around here. I am using the papers correctly. Actually, they are practically foolproof. prove the papers are working correctly. 5.5-5.6 or close to it. into neutral 7.0 this summer, which is where the gardens were last summer. now its own guinea pig. Francis Mangels quotes several test results with high levels of Al. However, he should know better that when only a tiny portion of test results flag high amounts....that there is likely some explanation for such rare results. But his explanation for all these tests, is the widespread high flying "chemtrail" jets. If these trails are so common and widespread, then the test results would be similarly common and widespread. I believe soil (as is water) is tested professionally around the world, and by many entities for various reasons. Why are not all these entities crying foul ? There are many concerned nature-loving environmentalists and scientists involved in carrying out these tests.......why aren't they outraged ? Could it be because they do not find the same results as those like Mr. Mangels ? Basically, WITWATS and it's proponents, take abnormal figures, and claim them to be typical, and terrifying. In some of his writings, Mangels refers to some sort of correlations he has of changing concentrations in his samples wit "spraying". I haven't seen any documetation for this, but he could be just choosing the first rainfall after a dsty spell to take his sample, which could account for some of his claims. ....as you can see, the pH levels have not deviated much in 10 years, all hovering around 5.5 pH. I did check Siskiyou's soil, and it does range quite a bit from pH of 5.5 - 8.1. Alfalfa and grazeland grasses dominate there for farming and herding, and these levels of PH seem fine for that. I have tried hard to find some farming report in that area that noticed an abnormal change in pH levels....but it seems "farming as usual" there. The shear lack of complaints throughout the vast California farming and agriculture community about "toxic amounts of aluminum" or overall pH changes, leads me to think it's like chasing an imaginary chicken. Field, petrographic, chemical, and geochronologic information has led to the identification and characterization of a widespread low-K, high-alumina olivine tholeiite (HAOT) magma type in the northwestern Great Basin. This basalt covers at least 22,000 km2 and is estimated to represent a total volume of at least 650 km3. The time period over which HAOT lavas were erupted extends from late Miocene to Holocene (10.5–0 m.y. B.P.). This interval overlaps with the timing of Snake River, Cascade, and northwestern Basin and Range volcanism but distinguishes HAOT from the main pulse of Columbia River volcanism (15 m.y. B.P.). Furthermore, three major pulses of HAOT magmatism are suggested from the geochronology of this study: 0 to 2.5 m.y. B.P., 3.5 to 6 m.y. B.P., and 7 to 10 m.y. B.P. The distinctive holocrystalline, nonporphyritic, and diktytaxitic texture, the low incompatible-element concentrations, and the high MgO/FeO* of HAOT serve to distinguish this basalt from other basalts of the northwestern United States. The low incompatible-element signature accentuates the similarities between HAOT, mid-ocean–ridge basalts, and back-arc–basin basalts. These similarities, combined with the HAOT chronology, support the idea that the processes giving rise to extensional tectonism and HAOT magmatism in the northwestern Great Basin are similar to those acting in active back-arc–spreading regions. I note the text in red, which I haven't heard before. Wonder where this particular bit of info came from? 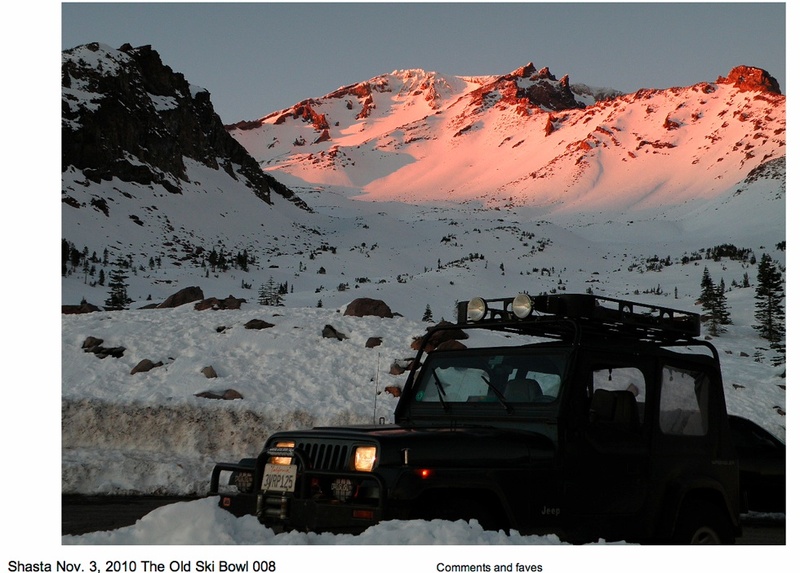 Q:Our snow on Mount Shasta Mountain, Calif., has recently been tested by EPA as having 61 ppm aluminum, 0.08 ppm barium and 3.0 ppm strontium. These elements are apparently oxides on micron-sized flakes. Will this get into our groundwater supply? Will a porous sandy silt no-clay soil filter this stuff out? Will this affect the bottled water plant here using Mt. Shasta city water? One of the others would not build here. Will this have an effect on health if hikers melt and drink this water? A:Aluminum is listed in the EPA Secondary Drinking Water Standards, and as such, it is not considered a health hazard. The recommended level is 0.2 mg/L and concentrations above that are said to impart color to water, but are not a health concern. Strontium, when expressed as ppm, is usually a metal that can be found naturally as a non-radioactive non-regulated element. Other naturally occurring strontium is found as four stable isotopes: Sr-84, -86, -87 and -88. Of greater concern is another isotope, strontium-90, the most prevalent radioactive isotope in the environment, although strontium-89 can be found around reactors, and strontium-85 is used in industry and medicine. The U.S. Environmental Protection Agency (EPA) has set a MCL (Maximum Contaminant Level) for Sr-90 (and other radionuclides) that may be present in public drinking water. The MCL for beta emitters like these is 4 millirem per year or 8 picocuries per liter of water, and a water analysis would report the results in these units. If the test for strontium is expressed as ppm or micrograms/liter, then the strontium is probably non-radioactive. The EPA MCL for barium is 2 ppm. So, your snow melt contains less than all these MCLs that we’ve discussed but we don’t know what the city water contains. It seems to me that you should be looking at your Mt. Shasta city water report. They are required to send this to the community once or twice per year. This is the water that a bottler should really be concerned about. For drinkers of melted snow, the three contaminants we’ve just discussed don’t seem to be a problem. During his interview with Food Integrity Now on March 7, 2011, Francis Mangels was asked if there was anywhere else aluminum in his samples could have come from, and he answered "no". The facts are, however, that Mt. Shasta and much of Siskiyou county is covered by remnants of the volcanic eruptions which formed the mountain 1/2 million years ago. Mangels knows this as he has mentioned in previous writings that the DEETZ soil series which covers much of the county. The andesite found at Mt. Shasta is known to be high in strontium. "The notably high strontium content (1400 ppm) in the andesites from Mount Shasta also indicates a mantle origin at depths where plagioclase is absent as a stable phase in the residual material." "These data are consistent with continuous isotope fractionation of Li during dehydration of the subducted oceanic lithosphere, an interpretation corroborated by uniformly high pre-eruptive H2O contents in basaltic andesites accompanied by high Li, Rb, Sr, Ba and Pb abundances." Either Francis Mangels was unaware that Aluminum,Barium, and Strontium rich soils make up his county, he forgot about the facts he knew, or he intentionally did not mention these widely known facts. 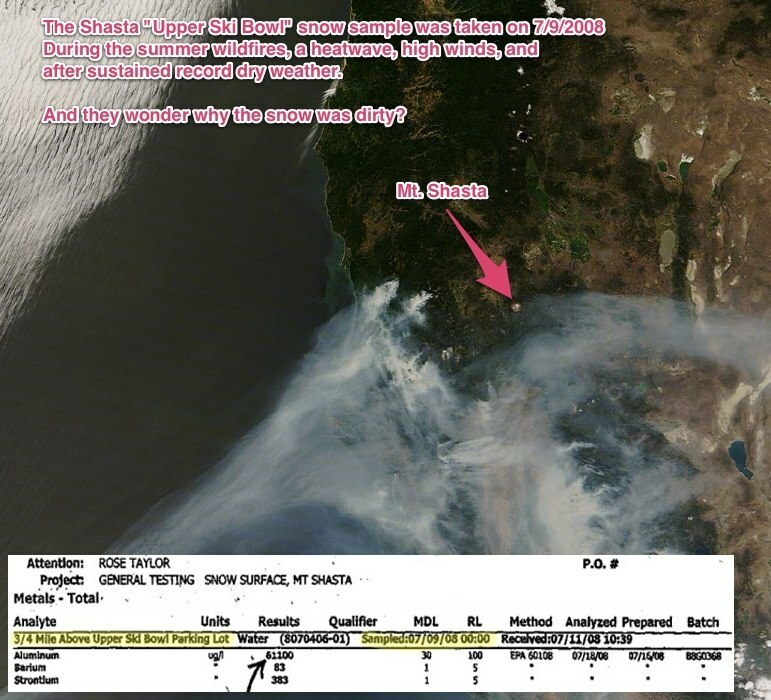 I note that Mangels is described as a USDA scientist with many years residence in Siskiyou county, and find it unlikely that such a person with that sort of experience and interest in the subject does not know the facts and did no research before drawing his conclusions. It appears that Michael J. Murphy has been relying on faulty information either way. He knows now, however, and I will await a reevaluation of his position. During the Food Integrity Now interview of May 18, 2011, I mentioned that the Mt. 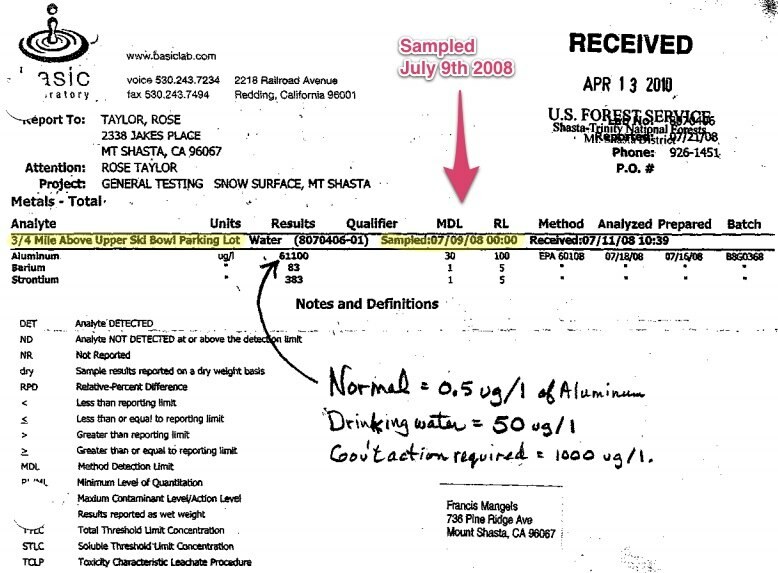 Shasta News had reported two years ago that local tests found only trace or no aluminum in water samples of the area. This is important because these local tests had to have been known to Wigington, Mangels, and Rose Taylor prior to creation of Murphy's film, yet no mention of it had ever been made. Mangels and the others even asked for the local tests to be made! In his response, however, it was clear that indeed Murphy was aware of the local testing that contradicted the tests shown in the movie. Murphy claimed in the interview that the tests that contradicted his own were only from "well water." Murphy's claim is not true. Two months later, this Mt. Shasta news article clearly shows a photo captioned "No aluminum was detected at the Mount Shasta city park headwaters, shown", and states, "• City Park headwaters - Not detected". Murphy is aware that the testing that Mangels, Wigington, and Rose Taylor requested had publicly contradicted those shown in his movie. Murphy nevertheless created the movie as if no such tests existed. Either Murphy never read the article, was misinformed about the article, or he intentionally did not mention the fact that further testing contradicted the movie and the so-called "evidence" he cites at every public appearance. He knows now, however, and I will await a reevaluation of his position. In the Food Integrity Now interview of May 18, 2011, Griffin mentioned that I had contended that since Mangels' Mt. Shasta surface snow samples had been taken in July, that I was claiming that lava underneath the snow containing aluminum, barium, and strontium had contaminated the snow surface. I never made that claim, nor do I have to. 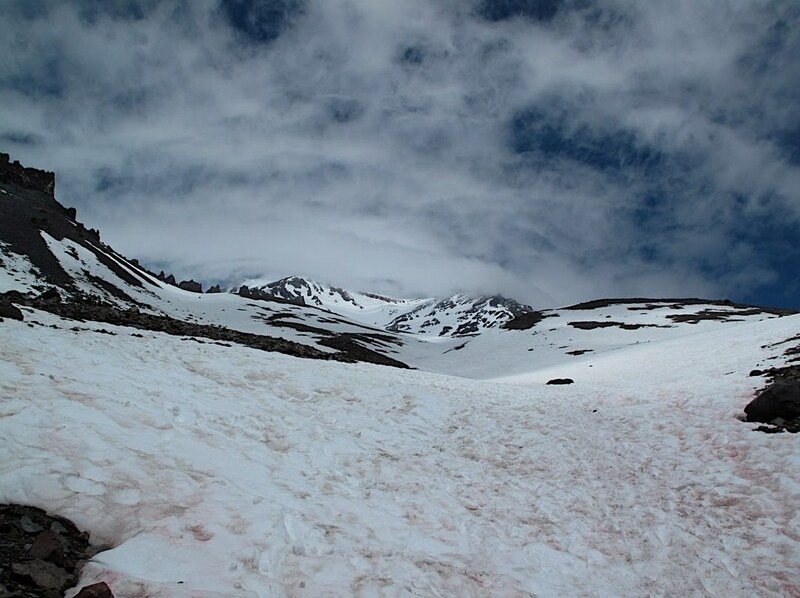 July of 2008, when the sample was taken, had been a period of drought and during that month dust could have easily blown for many miles from bare ground to reach the old snow's surface where the samples were taken. Griffin may have not even been aware that the samples cited in his movie were taken during July. His response seems designed to deflect my criticism, but does not accurately address it. In the Food Integrity Now interview of May 18, 2011, Murphy was asked why he was claiming that geoengineering is currently taking place while earth's Aerosol Optical Thickness(AOT) was decreasing rather than increasing as it would under geoengineering. Murphy insisted that aerosols were increasing, and that he had thousands of tests showing it. His website says that geoengineering must be stopped now. His claim does not agree with the facts. The eruption of Mt. Pinatubo is clearly seen to drastically increase AOT. However, often cited geoengineering proposals to inject 20 million tons of aerosols high into the stratosphere to mimic the eruption of Mt. Pinatubo have not taken place during the past decade. The review of 30 years Satellite records of AOT clearly shows this. 30 years of satellite records record Pinatubo spike in Aerosol Optical Thickness shows a steady decline since 1990. Murphy is show to be incorrect. He may be unaware that records of aerosols are available, and that the trend contadicts the entire premise of his claims. If he was unaware, this demonstrates scant knowledge of the subject matter which underpins his entire thesis. This shows a failure to logically test his ideas against known facts, and I must also conclude that either no one else close to him has such knowledge either, or that he has ignored what they told him. He knows now, however, and I will await a reevaluation of his position. In the Food Integrity Now interview of May 18, 2011, Murphy claimed that aluminum oxde was changing soil ph and that it was toxic. I disuted those claims, and mentioned that it was inert, to which he reluctantly agreed, but then insisted that it was reactive! The only factual statement he made was that aluminum oxide was inert. Aluminum oxide is not toxic, It is not reactive, and it can therefore not change soil ph in any way. Aluminum oxide in soil has been around for eons as a naturally occurring mineral. It is known in it's crystalline form as Ruby or Garnet, birthstones of July and January. Wow, what a great resource these searchable databases of public photos are. Thanks so much for teasing these out. No wonder none of the snow samples are documented by video. Just looking at the paucity of snow in July 3/4 mile above ski bowl, no one can claim there wasn't a possibility of windblown dust like Griffin tried to pull. Certainly no virgin white blanket of "snowpack" like they try to describe it. Come to think of it, was there a seal put on, signed, and a chain of custody form? I know that I am sure that is done when I get random urine tested almost ever year as a transportation worker. I'll have to remember this resource. Which one has the map you can click on to find photos? Have you considered breaking down the WITWATS page into sections and include some of what has emerged in the last few weeks about Mt. Shasta? Snow on Mt Shasta, Jun 12th 2009, at position 41.375732,-122.222618, close to where the Ski Bowl sample was taken. Showing typical summer dirt deposition, and exposed rocks. Rocks are exposed all the way to the summit. Note this is in june, July would likely have even less snow, and dirtier. 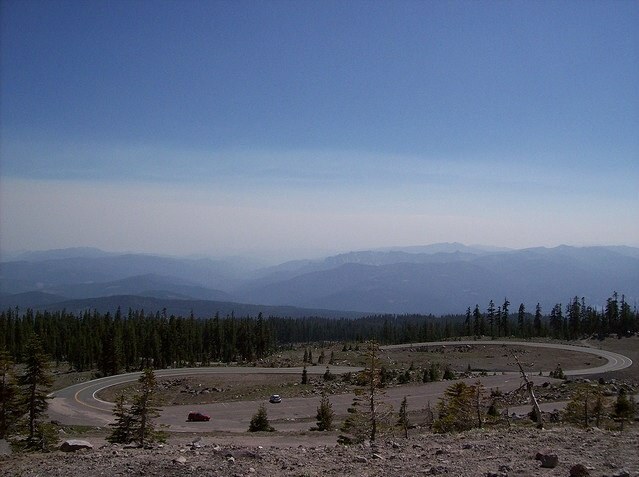 This photo shows the upper ski-bowl parking lot on the day before (July 8th) the sample was taken. The sample was taken 3/4 of a mile above here. Note smoke from fire confirms date. View is looking south. Flickr has a map, I don't find it that useful though. Most of the photos I find are on Flickr, and I use a date limited search by keyword. Some photos have GPS coordinates, like the dirty snow examples above. Some I can just figure out where they are by looking at them. 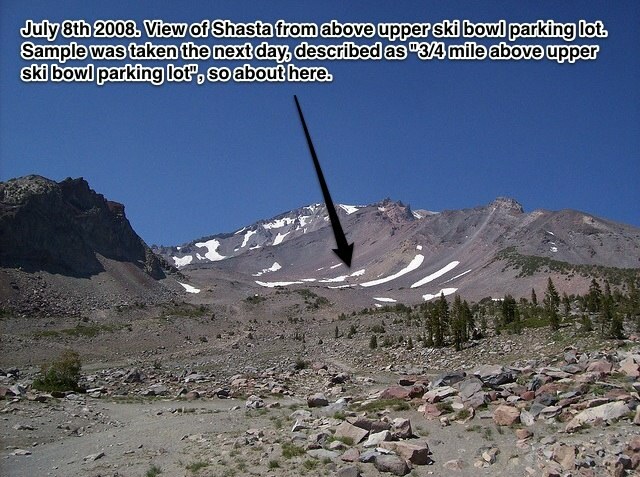 The bottom view from the upper ski bowl parking lot can also be matched up by Google Earth, even though there's no info beyond "Shasta" in the originals. I doubt the chain of custody angle is worth pursuing. They do have chain of custody forms on some of the samples, but with nothing on them beyond the sampler and the lab, and no way of verifying anything. There's far more damning evidence though, like the date of the sample. I probably would structure the WITWATS post a bit differently now with what I know. Maybe later. It seems that the die-hard skeptics refuse to believe what they see with their own eyes. No matter how many laboratory tests we collect, they always seem to come up with a theory that, no matter how far fetched it is, would explain the high levels of aluminum, barium, and strontium as merely due to some climate condition or error in preparing the chemical sample or some unintended human interaction. When we released our documentary, What in the World Are They Spraying, we included snow samples taken from Mt. Shasta in Northern California, which contained toxic levels of these metals. Since snow in merely frozen rain water, it was clear that this came from the sky and not from the soil or water run-off from some toxic waste dump. 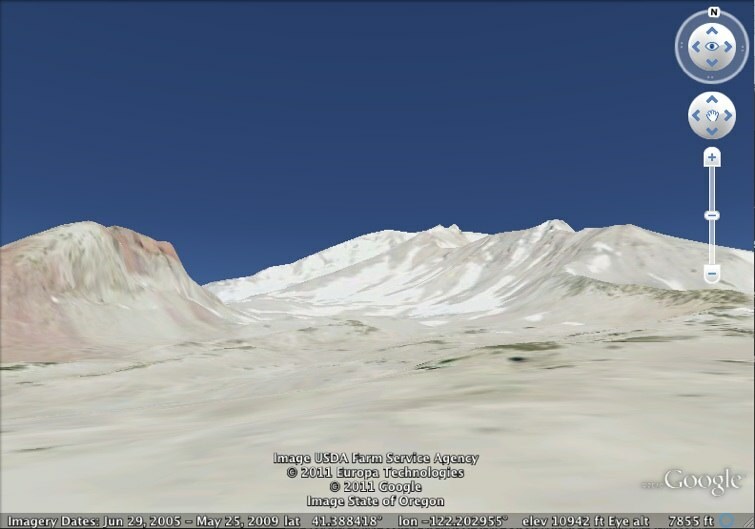 Nevertheless, an Internet debunker challenged our conclusion by claiming that people ski on Mt. Shasta, and skis are made of aluminum. Therefore, the tested aluminum probably came from the skis! Nothing to worry about after all. Of course, this was all made-up nonsense. People do ski on Mt. Shasta, but it is a big mountain, and there has never been any skiing in the area where the samples were taken. Even if there had been, that would not explain the high levels of barium and strontium. These metals are not used in the construction of skis. Our debunker never bothered to check on any of that. He was merely looking for some plausible explanation in order to plant doubts into the minds of casual readers. If people are confused by seemingly plausible explanations that even remotely could explain away the high levels of aluminum, barium, and strontium in snow and rain water, they will back away from coming to a conclusion and align themselves with the prevailing view. Another debunker contacted me a few days ago and claimed that a plausible explanation for the chemicals in snow on Mt. Shasta is that the samples were taken in a year with early snow melt which, according to him, means there was a lot of bare earth exposed at the time, and the wind must have blown dust from the earth onto the snow. Furthermore, he claims that the soil on Mt. Shasta contains the same metals as found in the samples; so, you see? Here is another perfectly plausible explanation. Once again, nothing to worry about. We are planning to respond to this gentleman as soon as we can find the time to carefully examine his claims about the early snow melt, the amount of bare earth exposed, the composition of the surface soil, and especially the rainfall and moisture levels of the soil during this period. I expect to find that, even if there had been an early snow melt, the soil on Mt. Shasta would have been far too moist and covered with moss, ferns, or other ground cover to make the “dust-bowl” theory even remotely plausible. But that will take a little time to pull the facts together. Meanwhile, we must not just play defensive and spend our lives answering the debunkers. We must take the initiative and obtain new data and information that will be impossible to dispute. The on-going collection of new snow and rain samples is part of that strategy. After we have literally hundreds of such chemical tests, I think our critics will run out of plausible-denial theories. So, yes, it's not a ski slope any more (it was from 1958 to 1979, hence the name, and a reasonable mistake). We accept new evidence, and we change our theories. But it IS a dust bowl. OF course, it does not have to be a dust bowl either, dust from many miles away can easily be deposited on the upper slopes of any snow covered mountain. But in this case, probably the majority of the dust is local. That's Claire Swiney's site, I've been told, and her censorship is legendary so as a community, I feel we are unable to even respond in the same discussion. Over time, this begins to aggravate me, until I am again struck by a happy thought: the number of people globally who are ignorant and paranoid enough to believe in the chemtrail hoax is infinitesimal. They have no vast financial backers, or legal precedent, no 1000s strong national marches under the banner of their cause, no prominent scientists or politicians willing to stand with them, put their name on the issues or bring any authority to their unfocussed slander and libel. It's just them, alone, separate from the rest of the world who satisfy any unanswered questions about condensation trails in the logical way, with extant peer-reviewed atmospheric science. For a supposed global crime against nature and humanity that ratio is embarrassingly, vanishingly small. That never fails to cheer me up. I hope this guy doesn't "cleanse" too many people's wallets. On checking further, it seems these products are sold to go along with a 'homeopathic' hcg(99% water) diet giving the dieter 500 calories/day. Wow, somebody's going to lose brain function pretty fast on that diet, if they stick with it, maybe muscle function too. Run away from this stuff, folks. 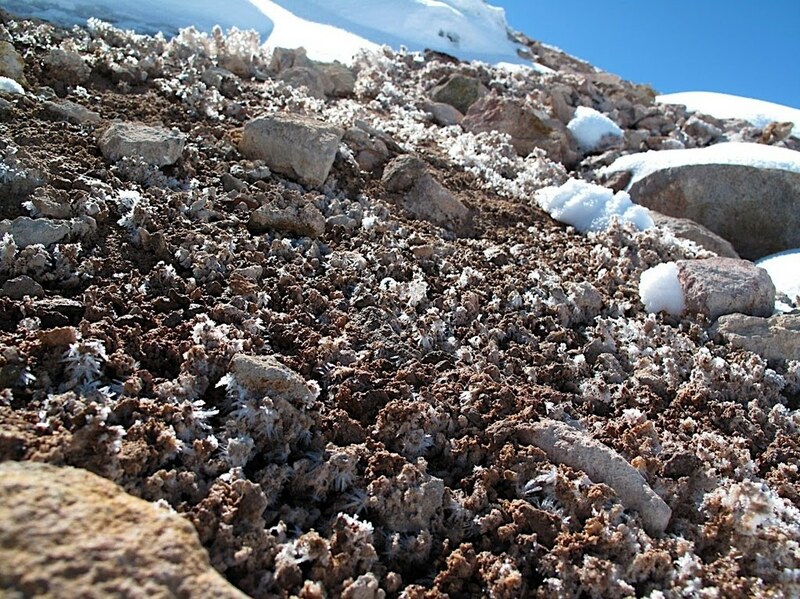 With that and the photo from the time the sample was taken, showing all the bare rock and dirt, without any of the supposed protection from vegetation, it's clear the snow samples were far from the quality required to draw any valid scientific conclusions. I spoke with Francis Mangels yesterday for about an hour. He has confirmed with a local geologist that I am 100% correct in my research on the soil around Mt. Shasta being naturally high in Aluminum, Barium, and Strontium. Despite being in possession of the same information, Michael J. Murphy has made no response on this matter. In my conversation with Francis Mangels on 5/31/11, he insisted that no surface waters were sampled by local officials, and mentioned that he considered the "City Park Headwaters" mentioned in the Mt Shasta news article above to be groundwater, since the headwaters refers to a spring which discharges at that point. • City Park headwaters - Not detected;"
"The Sisson Meadow property was purchased in January of 2003 to protect a remarkable 7.5 acre wetland parcel near the center of Mt. Shasta City. Adjacent to Sisson Elementary School, this parcel offers a unique opportunity to develop trails and boardwalks for environmental and education opportunities and to restore the wetland resource values of the property." Did Mangels say anything about the sample being taken in July? In our conversation, Francis Mangels denied first hand knowledge of the conditions around the snow sample site. He could not recall the date or year it was taken, or the person who took the sample. He said that he supposed the person's name would be at the top of the lab report, which says, "Attention: Rose Taylor". However, what appears to be a hand written note on the lab report is stamped with Mangels' name and address, so Mangels has had his hand on it. I've been reading this about elements found in surface waters of Norway. They include data on lements normally found in rivers on a worldwide average. No need to go into details, but suffice it to say that this link found on their own website debunks all of their statements about aluminum toxicity, prevalence in water, etc. Chemtrail believers often link to sources that contradict the point they are using the source to support. Belfort Group's "Case Orange" does this in several places. Also this link provides a wealth of well footnoted info on aluminum in soils and in plants, some of which actually accumulate aluminum to a great degree. I wonder what happens when these plants burn?